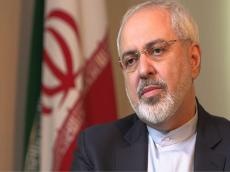 Iranian Foreign Minister Mohammad Javad Zarif said Europe has given Tehran assurances that it will be able to sell its crude despite upcoming US measures against the country. “Europeans guarantee that Iran will be able to sell its oil although Americans have their own specific measures in mind against Iran,” Zarif said on June 24 addressing a meeting of Iran’s Chamber of Commerce in Tehran, Tasnim news agency reported. The European Union has undone its previous sanctions against Iran, he added, noting that the sanctions by Europe against Tehran, which once were harsher than those of the US, will not be re-imposed anymore. On May 23, Iran's Supreme Leader Ayatollah Ali Khamenei said European powers must protect Iranian oil sales from US pressure and continue buying Iranian crude. "European banks should safeguard trade with the Islamic Republic. We do not want to start a fight with these three countries (France, Germany and Britain), but based on their past records, we don't trust them either,” he said. "Europe should fully guarantee Iran’s oil sales. In case Americans can damage our oil sales..., Europeans should make up for that and buy Iranian oil," Khamenei added. On May 8, the US President Donald Trump pulled his country out of the JCPOA, which was achieved in Vienna in 2015 after years of negotiations among Iran and the Group 5+1 (Russia, China, the US, Britain, France and Germany).